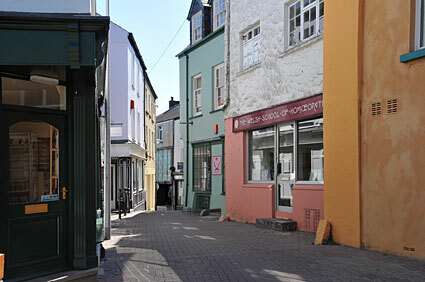 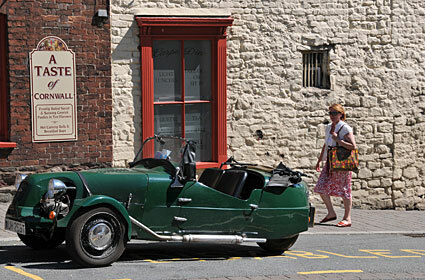 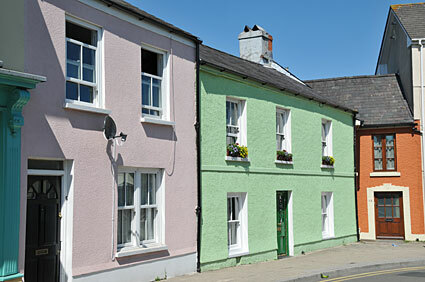 Attractively painted houses in the Carmarthenshire sun. 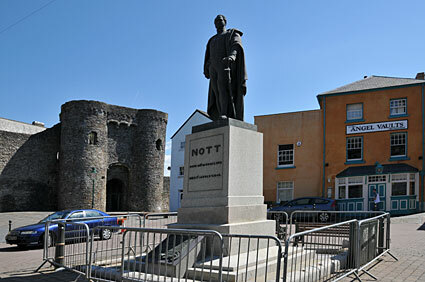 The bronze statue of General Nott Statue in Nott Square. 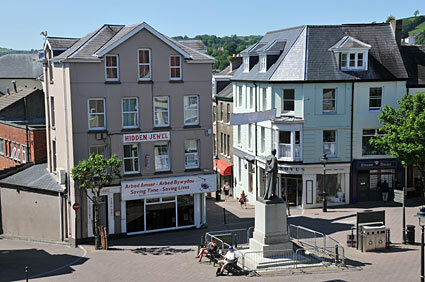 Erected in Nott Square in 1851 and cast from a cannon captured at the battle of Maharajpur, Queen Victoria contributed 200 guineas to the memorial fund. 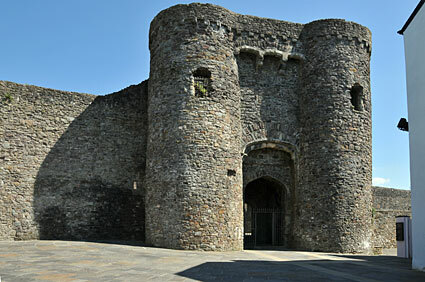 A strategically vital site, Carmarthen was first defended by a castle built around 1094 by the Norman William fitz Baldwin. 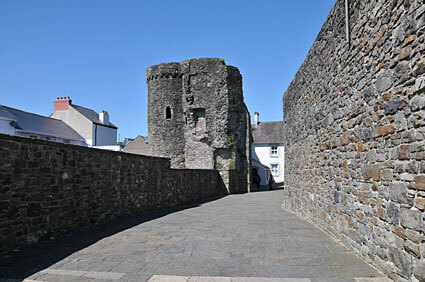 There's been a castle on this site since 1105. 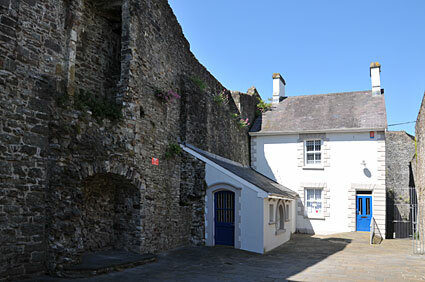 The original castle was destroyed by Llywelyn the Great in 1215, and was rebuilt in 1223 with a town wall added, making Carmarthen one of the first medieval walled towns in Wales. 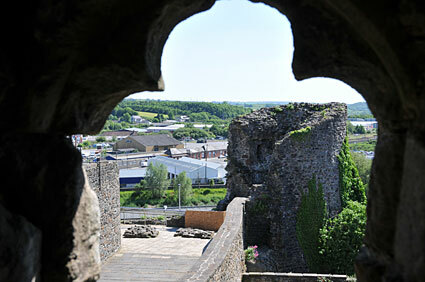 Owain Glyndwr rocked into town in 1405 the sacked the castle, and by 1456, Edmund Tewdwr (father of Henry VII) had gained possession of Carmarthen Castle as the king's representative. 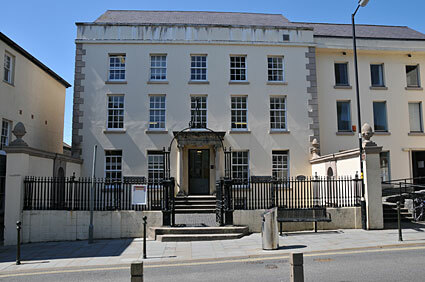 The castle eventually became the county prison in 1789, and is now open to the public for free. 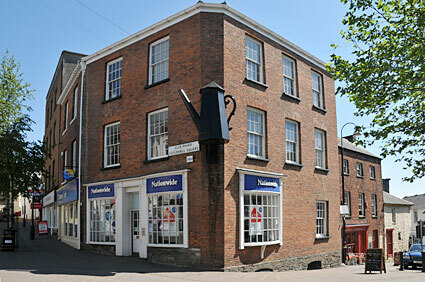 Guildhall Square, complete with giant coffee pot, once used to advertise Miss Puddiscome's grocery shop. 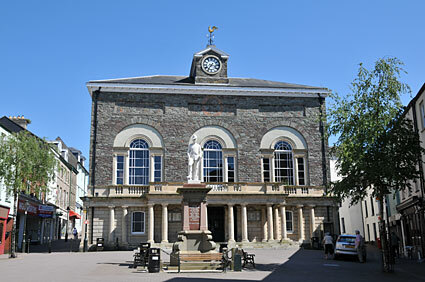 The Courthouse, Guildhall Square, Carmarthen. 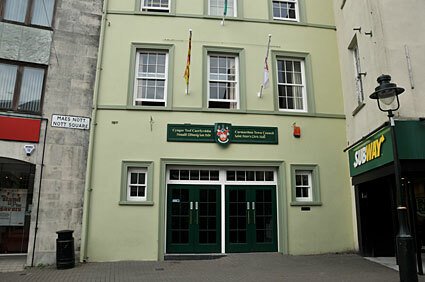 St Peter's Civic Hall, home of Carmarthen Town Council. 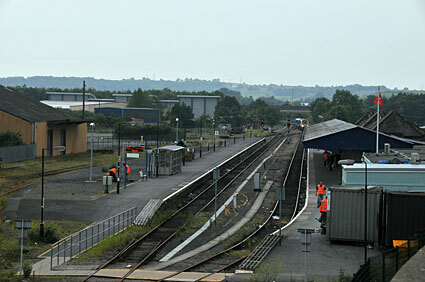 A view of the station, looking south west. 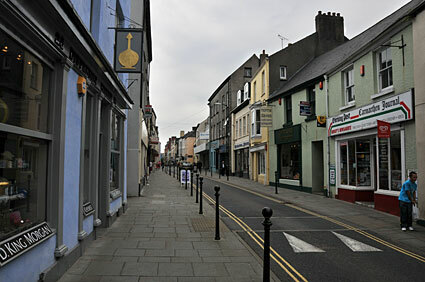 The line leads to a trinagular junction, with trains for Swansea and Cardiff heading north, and trains for Pembroke, Milford haven and Fishguard heading due west. 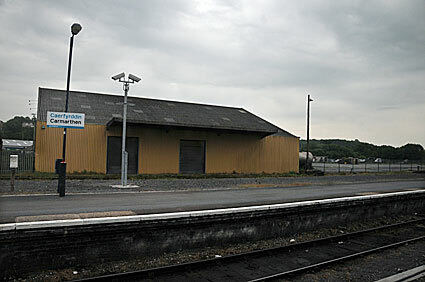 Old goods shed at Carmarthen. 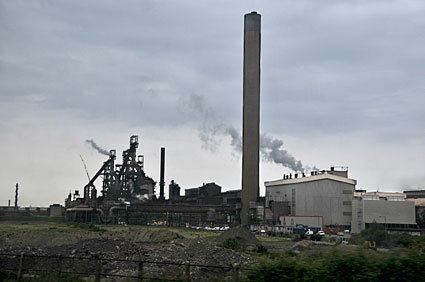 Heading back to Cardiff, and on to London, past some of the last heavy industries left in south Wales.